3 images. 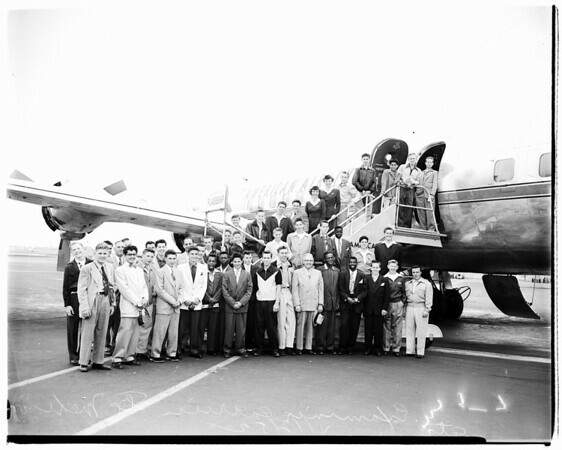 Examiner carriers off to Mexico City, 12 April 1952. Examiner carriers off for 6-day excursion to Mexico City, aboard American Airlines plane.